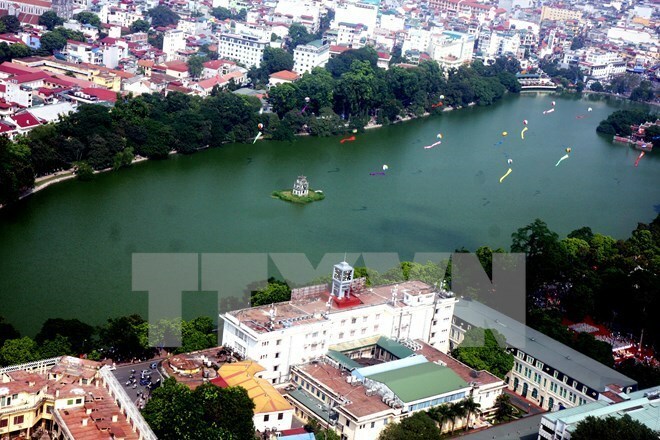 Hanoi (VNA) – The role of governance in forming dynamic, open and resilient cities laid at the heart of a discussion held in Hanoi on July 19 by the Construction Ministry’s City Development Agency, the Belgian Embassy and the Asian Development Fund. Director of the City Development Agency Nguyen Tuong Van said Vietnam is recording rapid urbanisation compared to other countries in Southeast Asia, as well as throughout Asia. There are some 790 cities across the nation, and they have become a growth engine of the economy. However, Vietnam is facing an array of city development challenges such as a lack of control over cities’ functions and architecture, asynchronous infrastructure and climate change, he noted. Professor Michael Douglass from Singapore’s Lee Kuan Yew School of Public Policy said as the population in Asian cities is forecast to rise by over 1 billion people in the near future, this region needs better resilience to urgent social and economic demands, especially increasingly frequent and acute environmental disasters. Mismanagement will undermine cities’ long-term resilience, he noted, adding that a dynamic and open city must be built on such basic pillars as culture, natural environment, distribution justice and social harmony. Meanwhile, Professor Myung Rae at the Republic of Korea’s Dankook University said people have been placed at the centre of urban management in his country’s capital city, Seoul.